The uniquely shaped buckle and fine leather make this belt a modern work of art. Perfect for both formal and semi-formal wear. Made from 100% genuine leather and a superbly finished elegant buckle with an understated sophistication of its own. The uniquely shaped buckle and fine leather make this belt a modern work of art. Perfect for both formal and semi-formal wear. 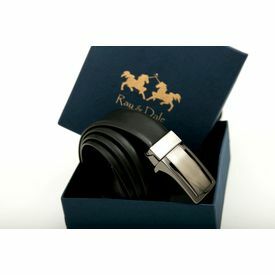 Made from 100% genuine leather and a superbly finished elegant buckle with an understated sophistication of its own.